The DP-415 is a 4 channel portable dimmer/switch relay pack. This unit functions like an advanced power strip with built-in dimmers controlled by the DMX controller. 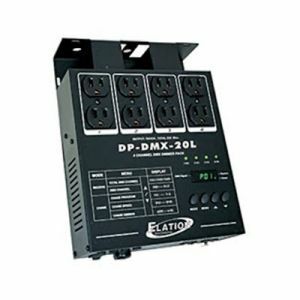 Elation DP-415 Dimmer/Switch Relay Pack - 4 Channel combines power and flexibility. The DP-415 is a 4 channel portable dimmer/switch pack. Each output channel contains dual 15 Amp Edison sockets that allow for two devices to be plugged into a single channel. Each channel can then be controlled via standard DMX 512 signal by adjusting a relevant channel fader on your DMX console. The dip switches on the face of the unit allow you to set the DMX patch address and operation mode for the pack. 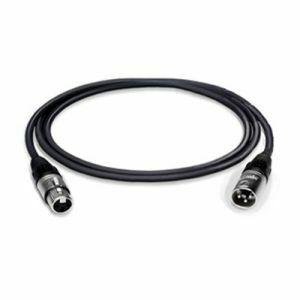 Standard binary code should be used to set your DMX patch address. Dip Switch 10 is the Mode switch. The setting of this switch determines the packsÆ operation mode, either as a Dimmer or Switch pack. There are also 4 channel output LEDÆs that allow you to view active channels. When the unit is set to Dim mode, these LEDÆs dim in real time as the relevant channel is adjusted. A DMX signal indicator LED is also incorporated so that when DMX signal is present, the LED illuminates. The DP-415 can give your lighting system the power and flexibility you need for many different situations.